Wow—this gorgeous chiffon dress with sequin detailing is a stunner! The Asymmetrical Chiffon and Sequin Party Dress comes in three great colors and is fully lined. It features a band of miniature sequins around the waist as well as below the bust that continues up creating one strap of the dress. Delicate chiffon fabric crosses over at the bust and makes up the other strap. The straps adjust in the back so you can control the fit. The skirt of this dress is fluid and flowy and will float in the wind as you walk by. The Asymmetrical Chiffon and Sequin Party Dress is perfect for an upcoming dance or any other event on your calendar. It would look great paired with strappy heels, a clutch, and some pretty jewelry. This dress is unique and special—something you don’t see everyday! Also available in Purple and Gold. Details: Fully lined. Adjustable straps. 100% polyester. Dry clean only. Small measurements: Length from top of shoulder to hemline: 34”. Bust: 32-34”. 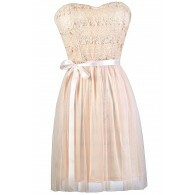 You have added Asymmetrical Chiffon and Sequin Party Dress in Gold into Wishlist. 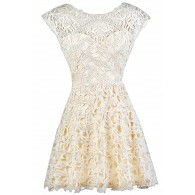 You have added Asymmetrical Chiffon and Sequin Party Dress in Gold for Stock Notification. You have set Asymmetrical Chiffon and Sequin Party Dress in Gold as a loved product. You have removed Asymmetrical Chiffon and Sequin Party Dress in Gold as a loved product.